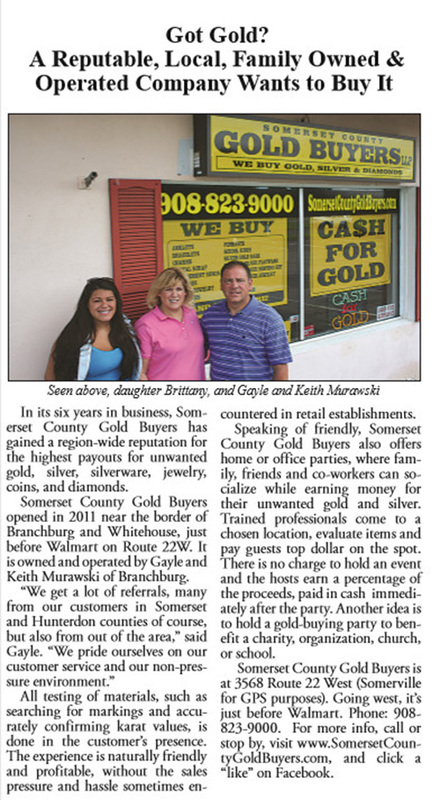 There is a reason why Somerset County Gold Buyers has become the most well-known and trusted name in gold buying in New Jersey. We pride ourselves on the relationships we’ve built with people like you – our friends and neighbors throughout the community. We are highly respected and absolutely trusted by thousands of people who have done business with us. Our prices are highly competitive in the marketplace, but without the hassle and pressure to sell, which you might find in a retail environment. You can be assured your experience with us will always be pleasant and profitable. Stop by our location, Click Here.